Troll Face Quest is a puzzle game that doesn't require any logic to complete it. This adventure is inspired by Troll Face, one of the biggest memes in cyberspace, and your goal is to sit down and lure your way through various levels in this game. The first thing you should know before you start playing Troll Face Quest is that no one can prepare you for what will happen. With that, you will need to find the key to open a door, which can be a bad idea. Or you can follow the advice of Troll Face and bet on your luck. 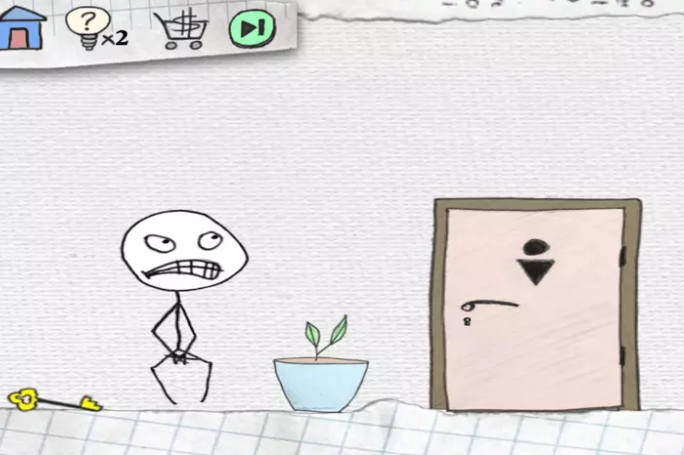 This game consists of nine very crazy levels, which are supposed to be easy to be difficult, and which should be very difficult to make sense. In Troll Face Quest, you must be careful not to get trapped by the Troll Face while also closing your doubts. Decide whether you want to care about it, by trusting your instincts or taking risks based on his advice. Troll Face Quest is an exciting game where anything applies. You must try your best to proceed to the next level. If you fail at a level, you can repeat as much as possible until you find the solution. Can you beat Troll Face? Try!